The NHL and NHLPA are meeting in New York today to discuss “secondary issues,” such as player safety and the definition of hockey related revenue. 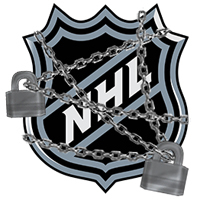 When it comes to lockouts, sport related revenue (i.e. Hockey Related Revenue, Basketball Related Revenue, etc.) seems to be the primary point of contention for the leagues and players’ associations. In the case of the NHL, the two sides are trying to decide how to divide the estimated $3 million in hockey related revenue. The definition of sport related revenue is hazy at best. In talking with a former NBA and NHL team president it became quite apparent that the sport related revenue can be altered in a major way and, because teams do not disclose their books to the players’ union, much of the smaller stuff cannot really be contested. The example the president used was: if a courtside seat to a NBA game has a face-value ticket price of $5,000, teams could say that only $2000 of that $5000 is basketball related while the other $3,000 is service, food, and facility costs (especially if the owner also owns the arena). It is situations like this in which owners can use sport relate revenue in their favor to increase their profit. Now, while this is an extreme example and would not be allowed, more subtle attempts to hide behind sport related revenue happen on a regular basis. Today in New York, the NHL and NHLPA are trying to come to a definition of hockey related revenue to curtail teams leveraging the ambiguity of the revenue. According to Elliotte Friedman of Hockey Night in Canada, the league owners are offering four specific changes to help define hockey related revenue. First, the league wants to be able to deduct “the cost of doing business” beyond what the league currently allows. The league only allows teams to deduct 15% on the sole basis of doing business but the league owners want to increase that 15%. Second, the owners want to be able to deduct the cost of selling luxury suites, such as advertising and the person who actually sells the suite. Third, the owners want to be credited for arena upgrades. Friedman points out that Lightning owner Jeff Vinik and Rangers owner James Dolan both sunk a lot of money into upgrading their arenas but could not subtract any of that money from their hockey related revenue. Finally, the owners want player contracts of players, who are on one way contracts (i.e. Flyers defenseman Matt Walker), that have been seen to the minors to count against the salary cap. Hockey related revenue is ambiguous which allows owners to be able to shift money around smoothly. In the most recent expired CBA, the players were receiving 57% of hockey related revenue. The owners want to roll that back to less than 50%. In order to appease the players the league is offering more transparency and this hockey related revenue definition is a major step in the right direction. NHLPA representative Steve Fehr along with players Ron Hainsey and Brad Boyes are at today’s meeting with the league. Once there is a definition then the negotiation of how to break it down can take place. Until then… we wait.